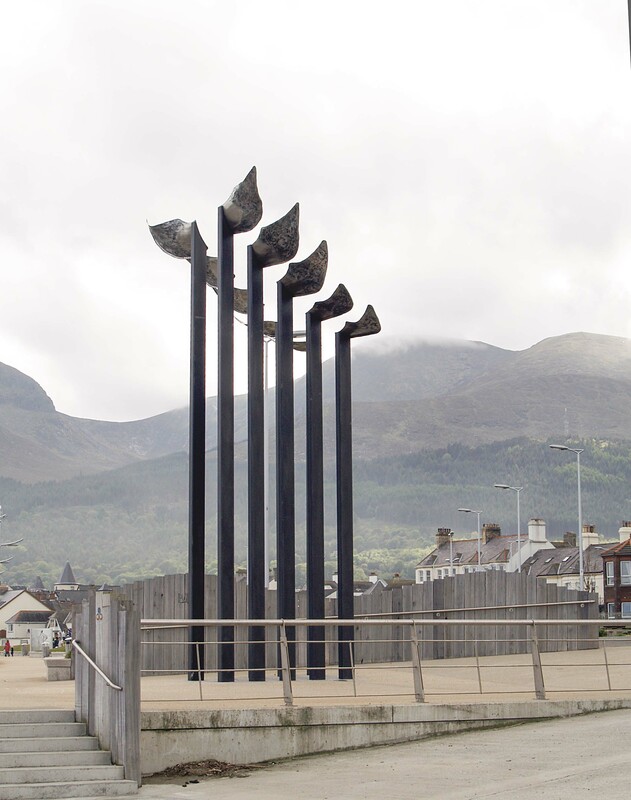 Promenade sculpture for Newcastle, Northern Ireland, inspired by the first powered air flight in Northern Ireland made by Harry Ferguson who flew along this Newcastle seafront. 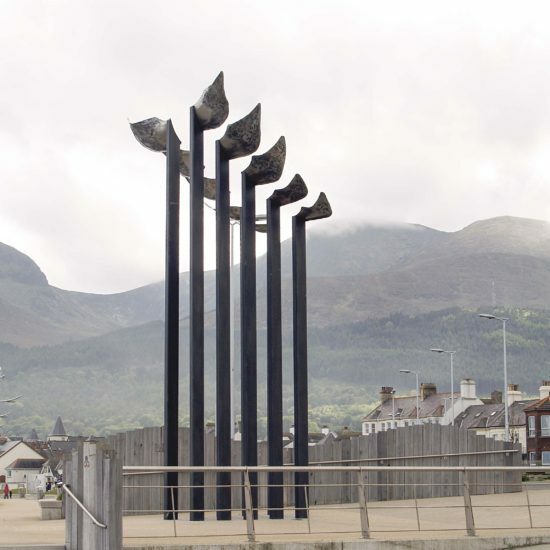 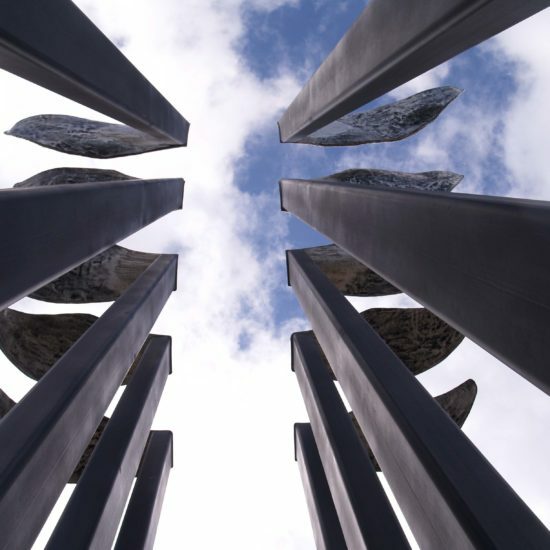 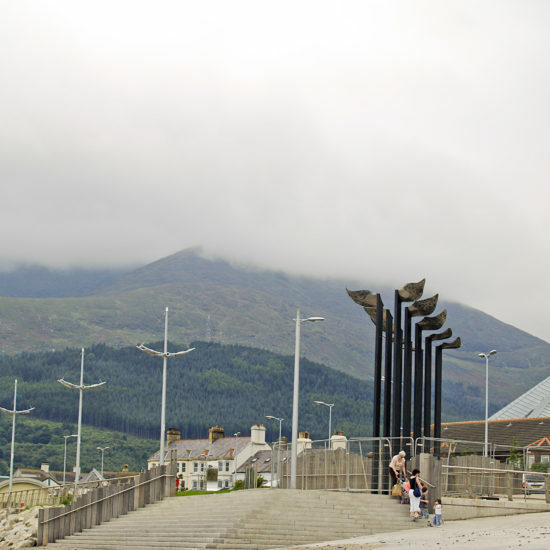 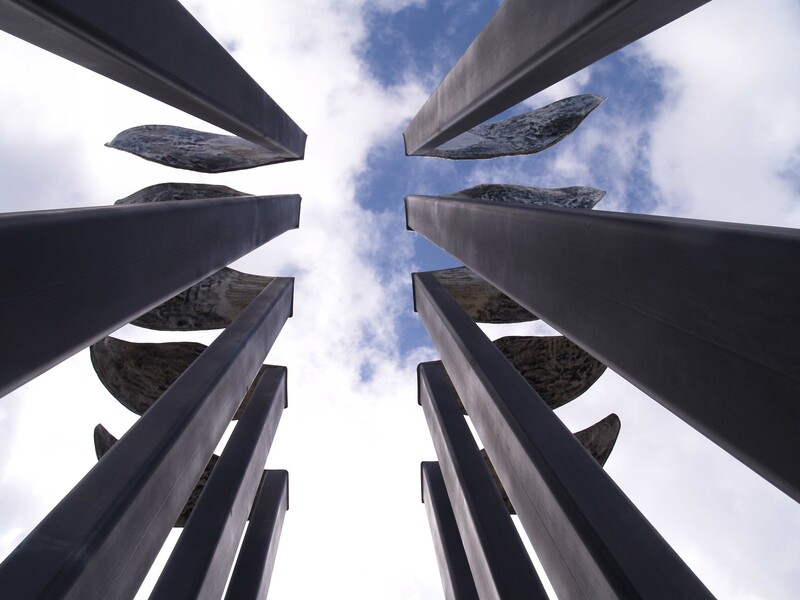 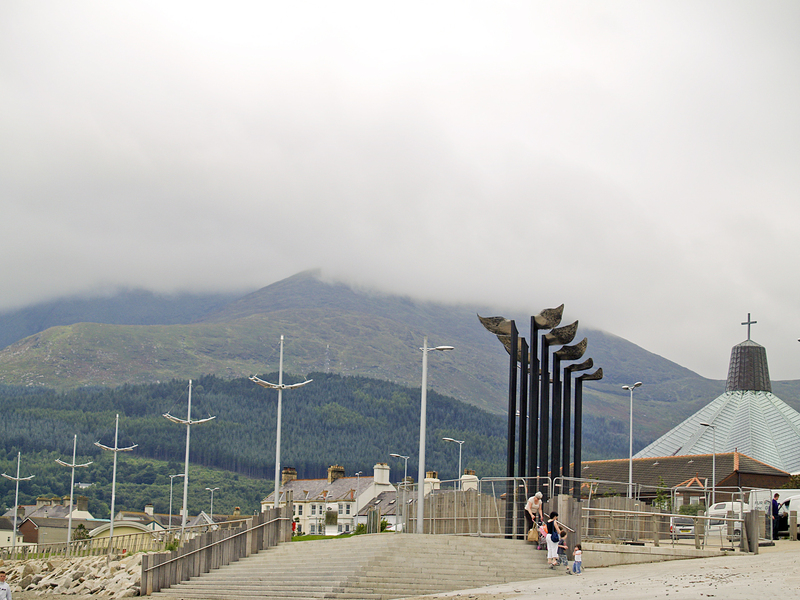 Reaching skywards at seven and ten metres above sea level, the sculpture is designed to withstand storms and the rigours of coastal weather extremes. 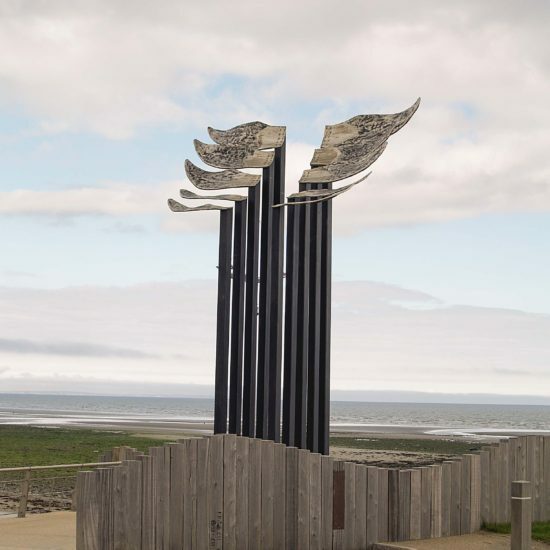 Marine painted mild steel stanchions support contrasting forged, textured and polished stainless steel panels suggestive of bird wings and fish tails. 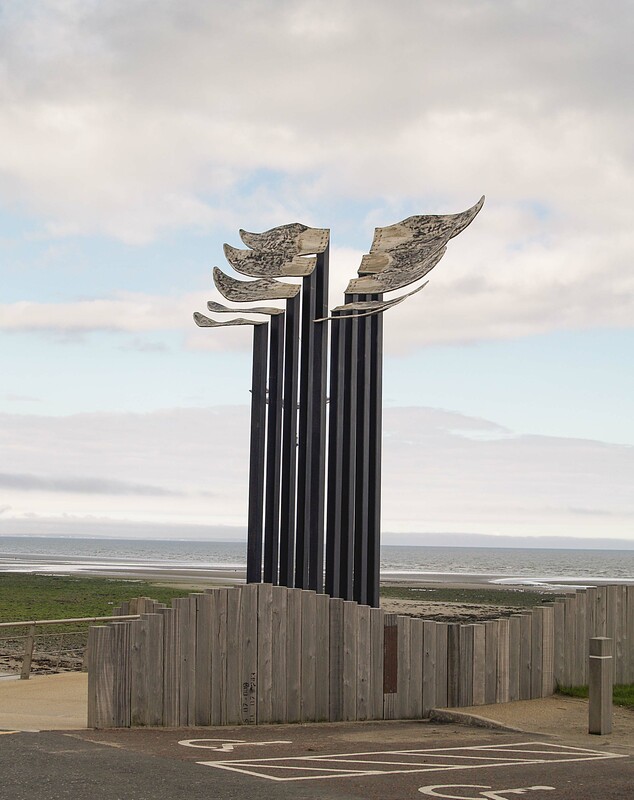 Charles has visually linked air to sea, engineering and the ingenuity of man to recognise and utilise the information that nature provides.